What many have suspected for the last few weeks, CBS and ABC have dealt the axe to a few of their struggling primetime programs. Over at CBS, half-hour comedy Partners was finally let go after experiencing dwindling ratings for its current six episodes. The comedy starring Michael Urie and David Krumholtz was assumed to be cancelled early on in the season but was surprisingly kept on air even with lackluster ratings. 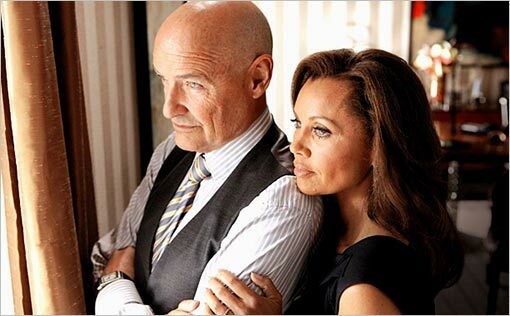 The somewhat surprising cancellation news comes from ABC, which decided to cancel both 666 Park Avenue and Last Resort even though many assumed one would make the cut. While both shows delivered less than desired ratings, ABC had originally ordered two extra scripts for each drama - a sign that normally shows a vote confidence from the network. The bright side for the supernatural drama and the military drama is that, unlike for Partners, the network will continue to air new episodes and run the entire 13-episode season for each series. No decision yet has been made about which programs will replace the freshman shows for a midseason run. Are you shocked about the three cancelled shows? Sound off in the comments below and let me know how you feel about these shows not returning.